Home » News » CBD vs. THC: What Are the Differences? Which Is Better for You? 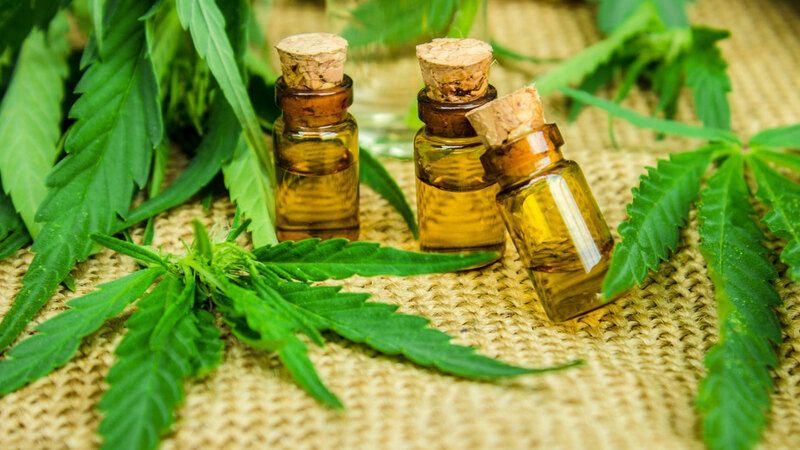 CBD (cannabidiol) and THC (tetrahydrocannabinol) are both compounds that come from the ancient medicinal plant Cannabis sativa and can be found in cannabis oil. THC is the compound in cannabis that produces intoxicating effects, while CBD is the major non-intoxicating component in the plant species. The chemical composition of CBD and THC are exactly the same, with both containing 21 carbon atoms, 30 hydrogen atoms and 2 oxygen atoms. The major difference between the structure of these compounds is the arrangement of a single atom. Considering that an atom is a very, very tiny particle, this small difference in chemical structure makes a huge impact when it comes to the effects of these compounds. Here’s the major difference between THC and CBD: THC has what can be called “unwanted” psychoactive effects that give you that high, euphoric feeling, while CBD has non-intoxicating effects. So while THC contributes the most to this affect among all cannabinoids, research shows that CBD has anti-anxiety properties and a protective affect against some negative psychological reactions caused by THC. It’s important to note that CBD is often referred to as “non-psychoactive,” but it turns out that this is a misrepresentation of the cannabinoid. CBD is actually very psychoactive. What does this mean? By definition, a psychoactive compound affects the mind and behavior. This means that it has the ability to change brain function and can alter your mood, consciousness, perception, cognition and behavior. Medications that are prescribed to treat depression, neuropsychiatric disorders and anxiety are all considered psychoactive. Because CBD works on the central nervous system, both directly and indirectly, it can be used to treat or improve a myriad of psychiatric and neurological conditions, including anxiety, autism and epilepsy. So yes, CBD is psychoactive, which is what makes it so beneficial for such a range of conditions. In fact, all cannabinoids are psychoactive, in different ways and to different degrees. Both CBD and THC are psychoactive, as they both affect the mind, but there is one major difference in the way they make you feel — unlike THC, CBD is non-intoxicating. Using THC may alter your senses and increase your hunger. It may even make you feel paranoid or out of control, depending on the way your body reacts to the cannabinoid. With CBD, you will not experience noticeable changes to your cognitive function, which is what makes it more appealing to so many people. When scientists started studying the beneficial effects of cannabis, specifically those of THC, they discovered a biochemical communication system in the body — now called the endocannabinoid system. We are just beginning to understand this body system and already it’s believed to be one of the most important physiological systems involved in maintaining our health. It plays a role in maintaining homeostasis, ensuring that the body has a stable and well-functioning internal environment. The system is made up of endocannabinoid receptors that respond to cannabinoid compounds the body makes on its own, and also those found in the cannabis plant species and a number of other plants. These receptors are found throughout the brain and body. Of the 100+ cannabinoids that have been identified in the cannabis species, CBD and THC have been studied the most extensively for their effects on the endocannabinoid system. Researchers have identified two major types of cannabinoid receptors — CB1 and CB2. Plus, additional receptors for cannabinoids are being explored extensively. Receptors respond to environmental stimuli, like chemical messengers, and produce an effect within our cells. CB1 receptors are found in the brain and central nervous system, and CB2 receptors are found in our immune cells. In fact, recent discoveries suggest that more than half of all the receptors in the brain are cannabinoid receptors! We have what’s called “endogenous cannabinoids,” which are neurotransmitters, or chemical messengers, that bind to cannabinoid receptors. But compounds found in cannabis, like THC, also bind to cannabinoid receptors, mimicking the effects of messengers found within the human body. Receptors react to cannabis compounds and produce a specific effect, which can benefit many body parts and bodily processes. We know that THC works as a chemical messenger, but the role of CBD is a little less clear. 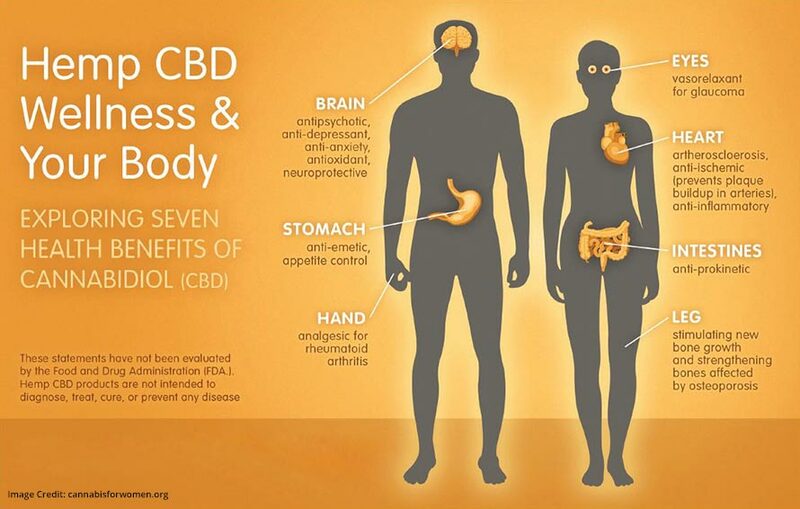 CBD works on the central nervous system, and it modulates several non-cannabinoid receptors, including serotonin and TRPV1, which can influence pain perception. It also may activate receptors associated with cancer, cardiovascular disease and Alzheimer’s disease. In addition to this, CBD is believed to reduce CB1’s ability to bind with THC, thereby weakening its intoxicating effects. So what happens when the endocannabinoid system becomes underactive or overactive? The body will begin to malfunction and can no longer remain in a homeostatic state. This is being referred to as “endocannabinoid system dysfunction,” and it may lead to health problems like chronic pain, fatigue, inflammation, arthritis, autoimmune disease and mood disorders. Just like any other body system, endocannabinoid system dysfunction can be the result of dietary choices, lifestyle factors and other issues. This is how using CBD and other compounds found in cannabis can be extremely therapeutic. 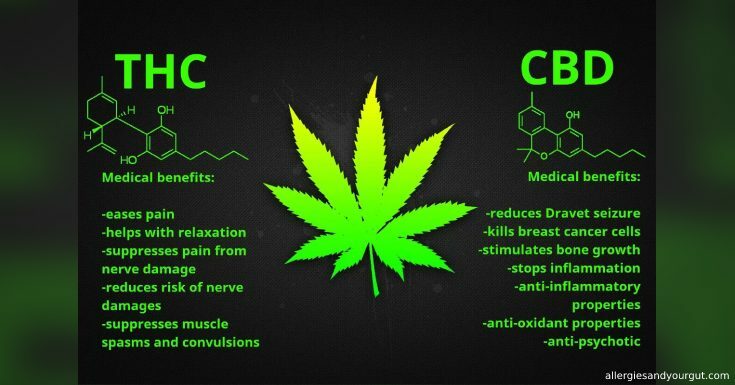 CBD and THC provide many of the same health benefits. Both work to reduce inflammation, fight pain, relieve nausea and may fight cancer. However, many people choose to use CBD and avoid THC because they prefer not to feel any intoxicating effects. This THC drawback explains why CBD is gaining popularity among consumers who are looking to take advantage of the medicinal properties of cannabis, without feeling high for it. Research shows that CBD has a better safety profile than other cannabinoids, including THC. Higher doses seem to be well tolerated in humans and animals. However, both THC and CBD may alter your blood pressure, heart rate and psychological function. THC may impair your psychomotor function, and CBD can affect your body temperature. Are THC-Free CBD Products Safer? THC-free CBD products are often deemed safer and just as effective as those containing CBD with trace amounts of THC. But as more research is conducted, we are finding out that the two compounds actually have what’s called “synergistic effects,” which means that when they are used in combination, it increases their therapeutic potential. The beneficial properties of THC is often down-played because of the compound’s controversial intoxicating effects. This, combined with the misrepresentation of CBD as a non-psychoactive cannabinoid, tends to make people believe that THC is somehow dangerous. This notion has been troublesome for the advancement of whole plant cannabis use in medicine and it promotes the “othering” of THC. There is actually a great pool of evidence from preclinical and clinical studies that cannabinoids, especially when used in combination, have therapeutic potential in many medical fields. And when trace amounts of THC are used in CBD products, the benefits are likely greater. These findings indicate that CBD isolates with no THC may not be as effective as full-spectrum products that contain high amounts of CBD and trace amounts of THC. These very small amounts of THC will not leave you feeling “high” or intoxicated, but will work with CBD and other cannabinoid compounds in the product to have greater beneficial effects. CBD vs. THC: What Is Legal in the U.S.? The 2018 Farm Bill that was passed in the U.S. Senate and signed by President Donald Trump states that hemp, a plant that’s part of the cannabis species but has different properties than “marijuana,” can be grown and made into products legally. Because of this new law, hemp is now under the management of the Department of Agriculture as a crop, and it’s no longer categorized as an illegal substance under the Justice Department. So why is hemp legal, but not marijuana? (We will be using the term cannabis, instead, because of the complicated, controversial history of the term marijuana.) It’s all about the amount of THC that’s present in the plant and plant-based product. Because industrial hemp, which is used to make CBD oil and hemp oil, contains less than 0.3 percent THC, it’s considered legal, federally. There are some restrictions, however, so hemp farmers and manufacturers have to follow a strict set of guidelines. Plus, states have different regulatory programs that residents need to be made aware of in order produce, sell and use hemp products legally. Products derived from cannabis, on the other hand, are still considered schedule 1 drugs federally. That’s because they contain higher amounts of THC, which has euphorigenic and intoxicating effects. Some states have passed laws for adult cannabis use, either recreationally or medicinally, but again, each state has a different set of laws. Bottom line: If you’re still asking “is CBD oil legal?” The answer is yes, federal laws state that hemp-derived CBD with less than 0.3 percent THC can be used legally. CBD and THC are both compounds found in the Cannabis plant species. They have similar health benefits, but one major difference — THC has greater mind-altering effects, while CBD is non-intoxicating. The current federal law in the U.S. states that any compound made from cannabis is illegal for use and are still classified as schedule 1 drugs. However, there are some states that have passed recreational or medicinal cannabis use. CBD made from the hemp plant, however, is considered legal because it contains less than 0.3 percent THC. But keep in mind that these hemp-derived CBD products have to be made under strict regulations to be considered legal. And again, some states may have laws against even hemp CBD. 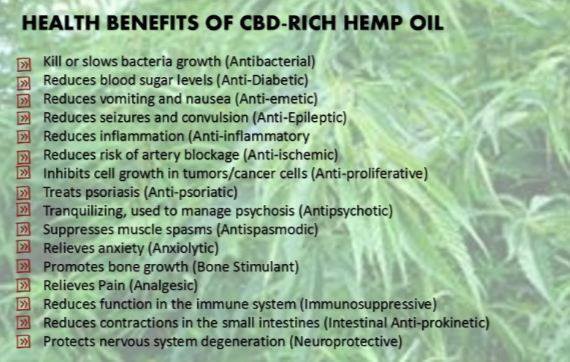 When it comes to their benefits, both CBD and THC work to reduce inflammation, relieve pain, relieve nausea, fight cancer and either directly or indirectly fight depression. What’s next for CBD and THC? For one thing, the laws continue to change as more research points to the therapeutic value of cannabinoids. Also, research suggests that a combination of cannabinoids can be even more therapeutic than using just one. We’ll keep our eyes out for more studies on this topic!